Online cross channel ferry ticket reservations for all Anek Line Ferries ferries sailing to and from Greece to Italy including on the Ancona to Corfu, Kissamos to Antikythira, Piraeus to Chania and Trieste to Corfu ferry routes crossing both the Aegean and Adriatic sea. 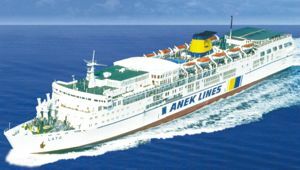 Anek Lines Ferries sail from Greece to Italy including on the Ancona to Corfu, Kissamos to Antikythira, Piraeus to Chania and Trieste to Corfu ferry routes crossing both the Aegean and Adriatic sea. With 10 vessels and 39 years experience Anek Line Ferries guarantee you a unique and pleasant voyage. Book online and pay less for your anek Lines ferry tickets. 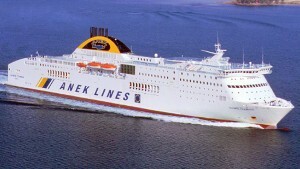 Anek Ferry Line's large contemporary fleet and the company's unique character have established them as a model for Europe. 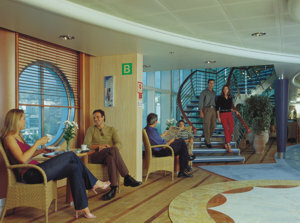 Anek Lines Ferry complies with all the rules and legislation of the European Community. Tradition, pride and the famous Cretan hospitality will impress and accompany you during your voyage on any of the Anek ferry vessels from their modern fleet that continues to gain the trust and respect of all Anek line Ferries passengers. 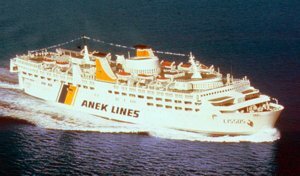 The 36 year old tradition of Anek Lines Ferry sailing the seas of of Italy and Greece, has established them as the leader in their field. 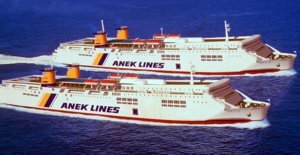 From the time of their first vessel setting sail up till now, Anek Lines Ferry have been crossing both the Aegean and Adriatic sea with unsurpassed comfort and consistency. ANEK was originally created with the help of shareholders who were inhabitants of Crete. They endevoured for a means of transportation which was their own and connected them with the rest of Greece. This is what differentiates ANEK from the rest of the shipping companies: its multi shareholder peculiarity. Cretan people looked for their own vessels to sail into their own sea. In the beginning it looked as just another great vision but everybody contributed to the cause. Other companies soon followed our example. We restored the shipping tradition that goes back to the Minoan times. The company won the confidence of its people and its passengers, and rewarded its employees for all their sacrifices. Anek Lines was, and still remains a pioneer company in the field of coastal navigation. 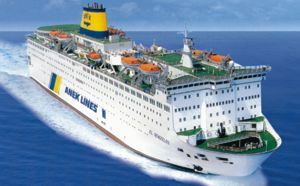 They have the most contemporary passenger vessels that offer you high quality services in the domestic lines as well as in the lines between Greece and Italy. Moreover, Anek Lines' fleet is famous for its high standard of safety. All vessels comply with the most recent safety rules set by the European Union. Moreover they are perfectly maintained to offer you the safety that is necessary in every journey. The company also complies with the "International code for the safe operation of vessels and the protection of the sea environment" (ISM CODE). 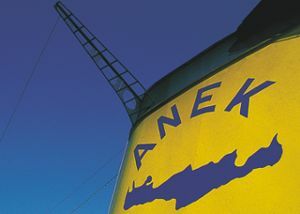 Anek Lines purchases 50% of the share-capital of LANE, with the assignment of the F/B "TALOS"
Anek Lines buys 41,9% of the share-capital of "DANE"
Anek Lines buys 50% of the share-capital of "ETANAP"
Anek Lines buys 62 % of the share-capital of "LEFKA ORI A.B.E.E." ANEK LINES takes you there on board modern and very fast vessels that depart on time. You always enjoy the best service by our fully trained staff, who are at your disposal 24 hours a day. The destinations of the ANEK Lines vessels, Ancona and Venice in Italy, and Patras, Corfu and Igoumenitsa in Greece are important cities - ports of Europe, i.e. ideal connection points for even more destinations in Europe. For those of you taking "your house", Camper / Caravan, with you, we offer the Camping on Board service. A simple deck ticket offers you W.C., shower, and free 220 Volt current in specially designed areas during the whole journey. 30% discount on return fares. The discount is valid only when both go and return tickets are issued simultaneously. In the present price list the deduction has been already calculated. 20% discount for the young passenger up to 26 years old that travel on DECK and ATS seats. The discount is valid throughout the year. 10% discount on families of three or four persons that travel in the categories A3, AB3, A4, AB4. The discount is valid only for adults (for low or middle season) while for children between 4 and 12 years old the 50% discount is issued. 10% discount on families of four or more persons that travel in the categories DECK, ATS with their car. The discount is valid only for low or middle season. 10% discount for persons over 60 years old at all categories, throughout the year. The discount is valid only for passengers and not for their vehicles. 20% discount for Greek proffesors and their families, lecturing abroad. (not valid during high season). 10% discount on domestic fares that are carried by ANEK LINES. The discount is valid throughout the year for passengers that issue simultaneously both their domestic and abroad tickets, and is valid for their vehicles as well. 100% discount for children under 4 years old travel. Not entitled to a bed. 50% discount for children under 4 years old with bed and for children from 4 to 12 years old. 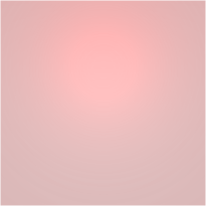 Special Anek discounts-offers are not cumulative. In case that passengers qualify more than one discount, only the greater discount is valid. For OPEN DECK reservation, charge is due the length of the vehicle. To qualify for all the special offers and surprises which we offer on our vessels you must present necessary documentation on the reception of the vessel during embarkation. Eleftherios Venizelos was the great leader that liberated the "autonomous" Crete and annexed it with the rest of Greece in 1905. Eleftherios Venizelos was born in 1864. He became the Prime Minister of Greece and died in 1936. 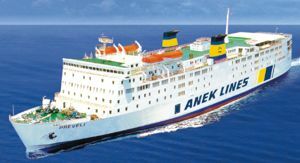 ANEK Lines vessel that bares his name is the largest passenger vessel in the Mediterranean. Built at the GDYNIA Shipyards in Poland. It is completely automated, equipped with one of the safetest and modern navigational systems with 12 decks. In can transport up to 2,500 passengers and 1,100 vehicles. It has four main engines. The vessel has also been used for it's forever popular cruises in the Mediterranean. This vessel has been named one of the fastest vessel in it's category and is one of the fastest in the Adriatic, as it completes the voyage Greece-Italy (Igoumentitsa - Ancona) in only 15 hours! For this reason it has been christened by the Olympic Gold Medalist Constantinos Kenteris. Built in 2000 at the FOSEN Shipyard in Norway, it is considered a miracle of modern technology for it's automation as well as it's comfort and speed as it can reach speeds of 32 knots. It is equiped with four main engines. Dedicated to the Hellenic Spirit the latest addition to the fleet complements it's twin "Olympic Champion". Built in 2001 at the FOSEN Shipyard in Norway, it is considered a miracle of modern technology for it's automation as well as it's comfort and speed as it can reach speeds of 32 knots. This vessel has been named one of the fastest vessel in it's category and is one of the fastest in the Adriatic, as it completes the voyage Greece-Italy (Igoumentitsa - Ancona) in only 15 hours! It is equiped with four main engines. The F/B LEFKA ORI is dedicated to the highest mountains in Crete, Lefka Ori, which literally means "White Mountains". Built in 1992 in the SHIMONOSHEKI shipyards in Japan and was completely retrofitted in 2000. 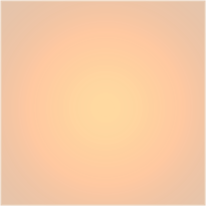 It is completely automated with it's sophisticated and safe navigation system. It can transport up to 1,500 and has space for 1,100 vehicles. It is equipped with two main engines. Sophokles Venizelos was the son of the great Greek politician Eleftherios Venizelos. He was born in 1894 and died in 1964. He was repetitively elected as a member of the Greek parliament, served as the Minister of Foreign Affairs, Minister of the Navy, Vice president of the Greek Goverment, and for a short time Prime Minister. Built in 1990 at SHIMONOSHEKI Shipywards in Japan and completely retrofitted in 1999. Completely automated, it is equipped with one of the most sophisticated and safe navigational system. It can transport up to 1,500 passnegers and up to 1,100 vehicles. It is equipped with two main engines. Lato (known as Lito in the Ionian dialect) was the mother of God Apollo (God of Sun) and Goddess Artemis (Goddess of Hunting). Ruins of the temple dedicated to her still stand to this day in Crete. LATO was built in the SETODA shipyards in Japan and was completely retrofitted in 1989. It has two main engines. It is completely automated with the most sophisticated and safe navigation systems. In it's friendly areas which transport 1.800 passengers and 850 vehicles providing all the comforts our passengers have come to expect. In the summer of 1997, our International fleet was increased with the addition of the twin vessels KRITI I and KRITI II. They were both built with the same specifications and offer the same comforts. Built in the MIHARA Shipyards in Japan and completely retrofitted with it's purchase in 1997. They were named after the Island of Crete (KRITI in Greek means Crete). According to the Greek mythology the name KRITI is derived from the name of its inhabitants "KOURITES". These were the first inhabitants of the Island of Crete who lived on the top of mountain Psiloritis. They were agricultural people, sons of mother earth that were born and raised on the earth just like the trees. The KOURITES took over the protection of God Zeus while he was still a baby and was hiding in the cave of Dikteo from his father Kronos who wanted to kill him. "KRITI I" and"KRITI II" transport daily thousands passengers offering them an unforgettable voyage with comfort and luxury. The name "Lissos" is derived from the ancient harbor of Lissos where once there were natural mineral water springs. An Aesculapio can be found there, a Doric temple dedicated to the ancient god Aesculapius. In it's heyday Lissos was such a wealthy city, that it use to manufacture its own gold coins. Today this vessel is dedicated to its rich history. The F/B Lissos can transport 1,900 passengers and 600 vehicles. Built in the MIHARA Shipyards and completley retrofitted in 1989. Preveli Monastery was most probably founded during the 16th century. It played a major part during the Cretan Revolutions and especially during the revolution of 1866, when it was the shelter for the revolutionaries and the base of their operations. It was named after the river Preveli which adorns that unique area with the short gorge, the natural protected forest, the waterfalls, the mountains and the pictureque little bay with the palm trees. The Monastery was one of great riches. In 1831, the first Greek School was founded in the Monastery. Dedicated to the Monestry vessel "Prevelis" transports with comfort and safetyy 1,500 passengers and 450 vehicles. Built at the IMABARI Shipyards in Japan and was completely retrofitted in 1995. Anek domestic lines (Piraeus-Chania, Piraeus-Heraklio and Piraeus-Rethymno) and Ionian (Patras-Igoumenitsa-Corfu) are serviced by vessels with large capacity, speed, comfort, luxury and of course safety. These are Anek Lines characterstics for all international and domestic lines. You will also find routes from Patras to Ancona, either direct or with intermediate stops in Igoumenitsa with the comfort, luxury vessels F/B "OLYMPIC CHAMPION" and F/B "HELLENIC SPIRIT", two brand new vessels. Every day, all year round, the vessels of ANEK Lines & Affiliated companies (ANEK, DANE, LANE, ANEN) cross the Aegean, Ionian and Adriatic seas, providing a confortable and safe voyage. Book online and pay less for your anek Lines ferry tickets!